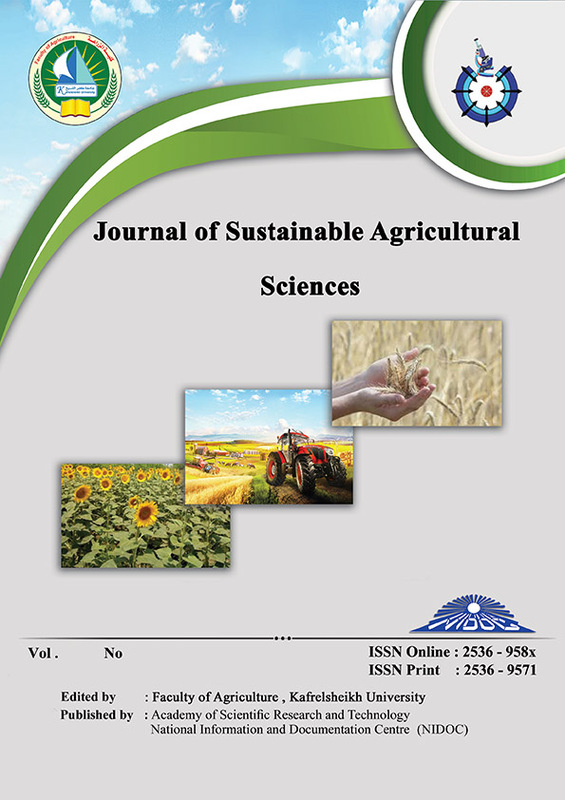 This research aims mainly to study the forms of the relationshipbetween research and extension in some areas of reducing the impact ofclimate changes on the agricultural production in Elbeherah and Kafrelsheikhgovernorates. The research had two populations are: 1- The agriculturalextension specialists in both governorates, 2- The agricultural researchers inthe research stations in both governorates.It was selected simple random sample amounted to 150 respondents,represented 34٪ from each population. Data were collected using aquestionnaire by personal interview with the respondents during Septemberand October 2015.Frequency, percentage, arithmetic mean, standerdeviation, weighted mean, and both of T& F tests, to analysis datastatistically.